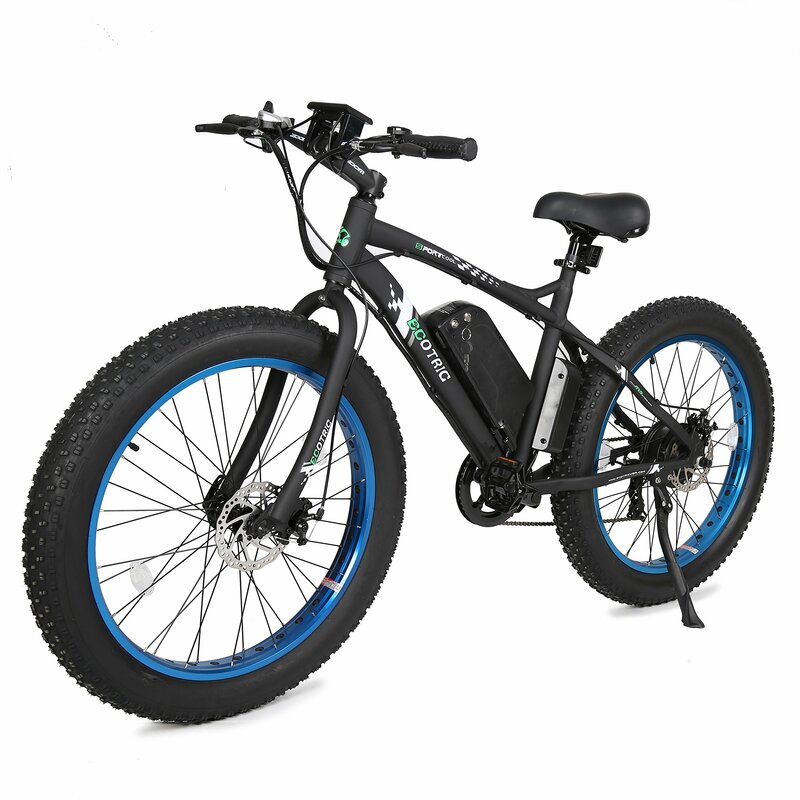 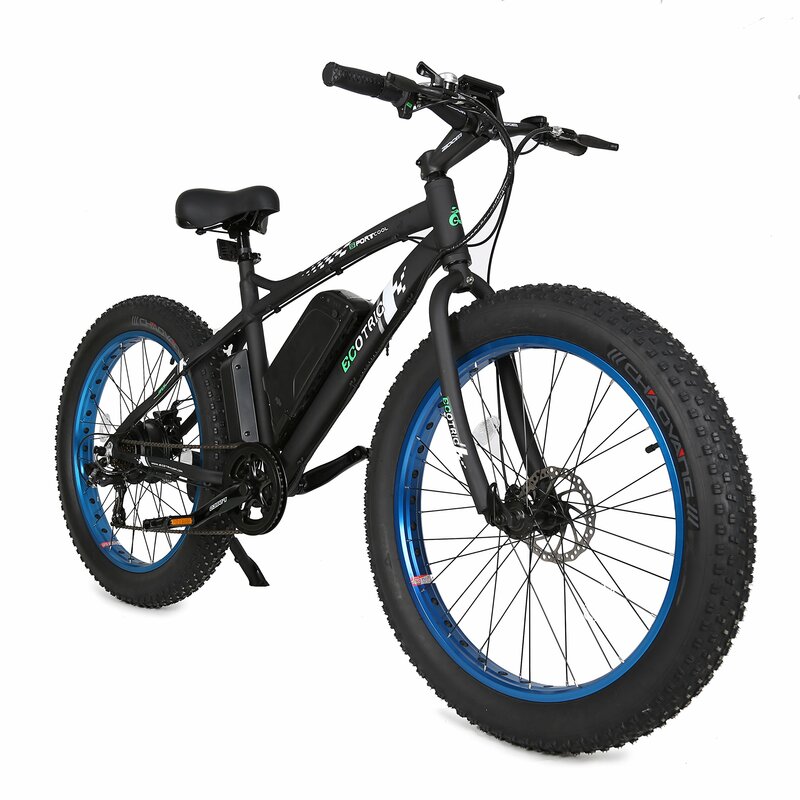 The 26″ Fat Bike Is A 36V Lithium Battery Powered Electric Bicycle, Running On A 500 Watt Rear Hub Motor. 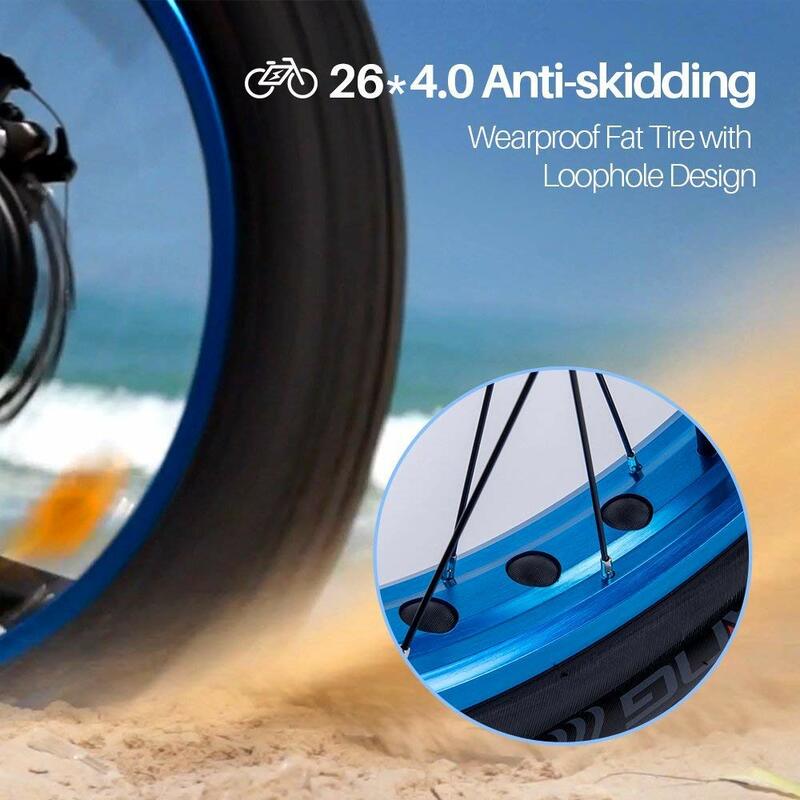 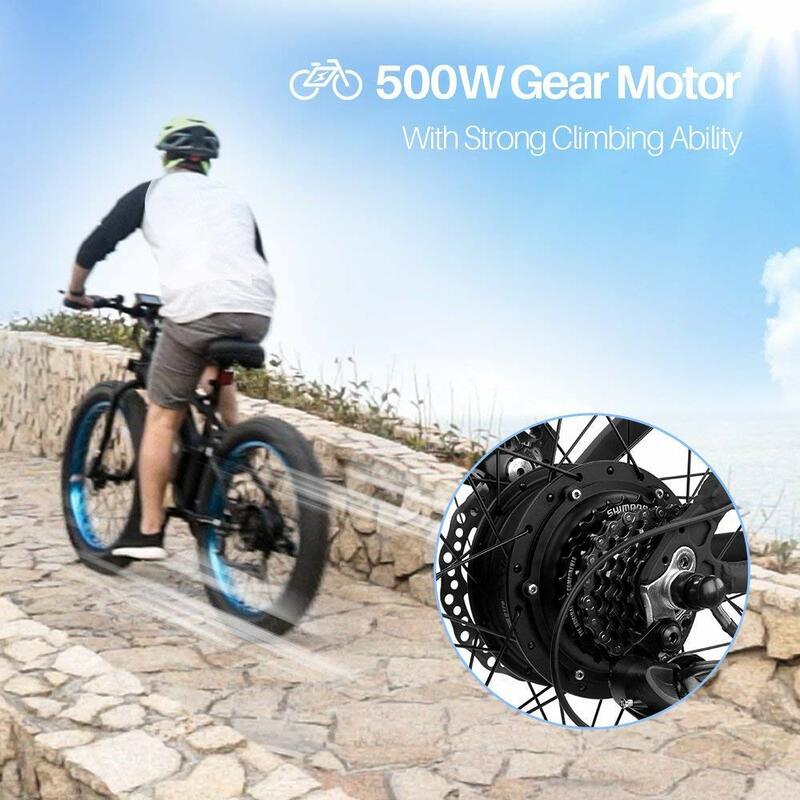 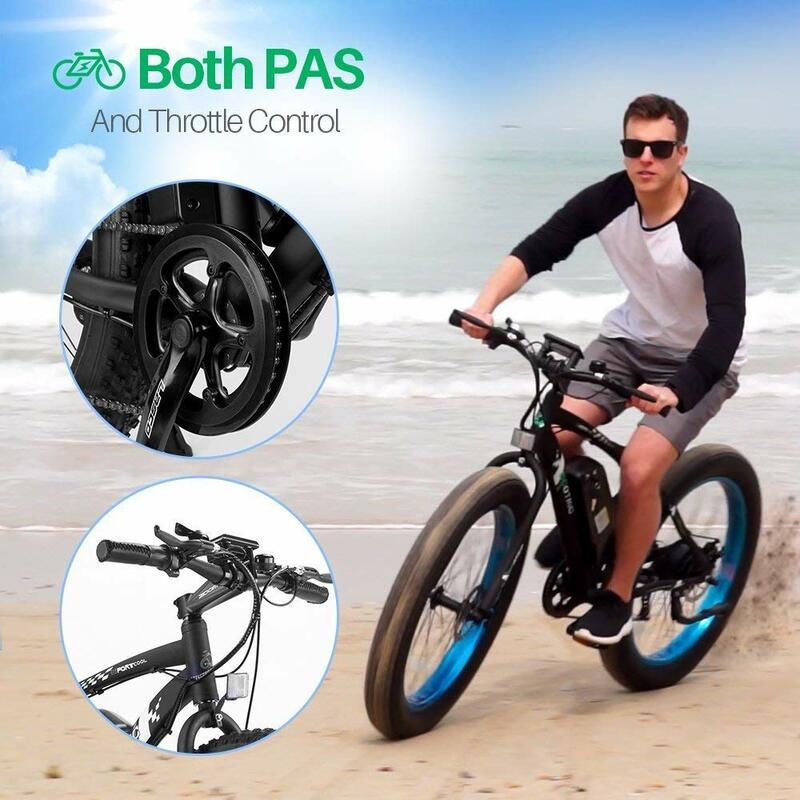 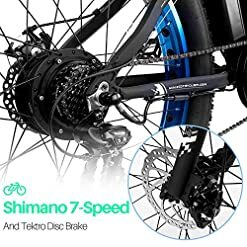 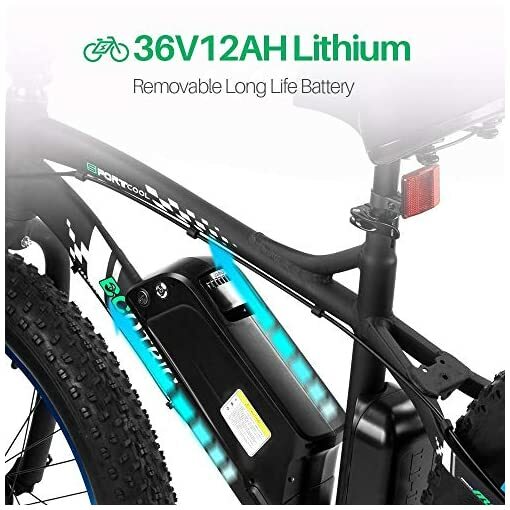 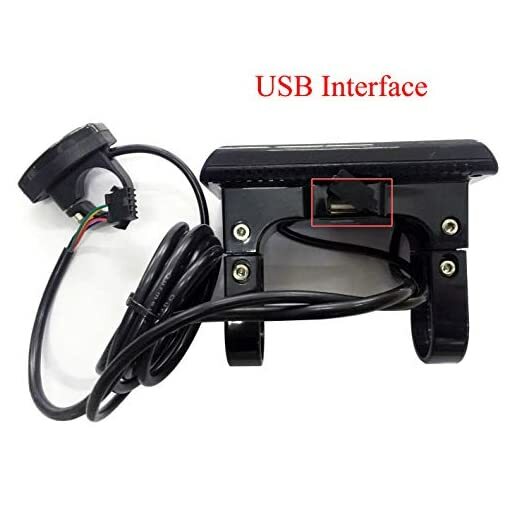 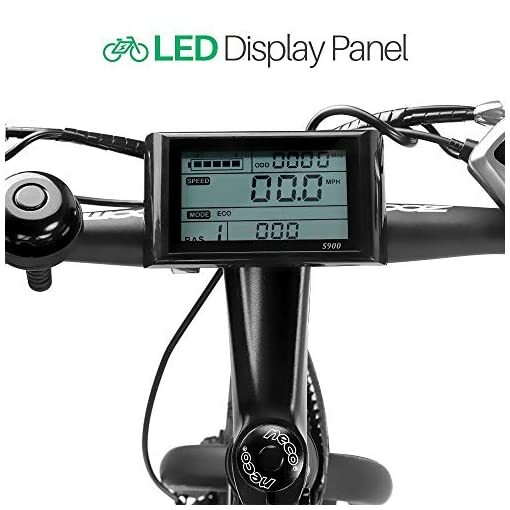 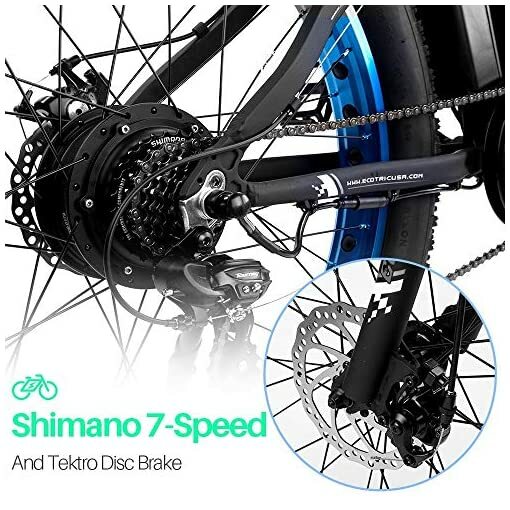 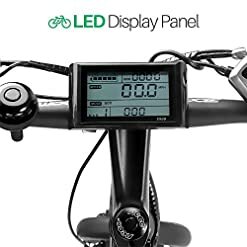 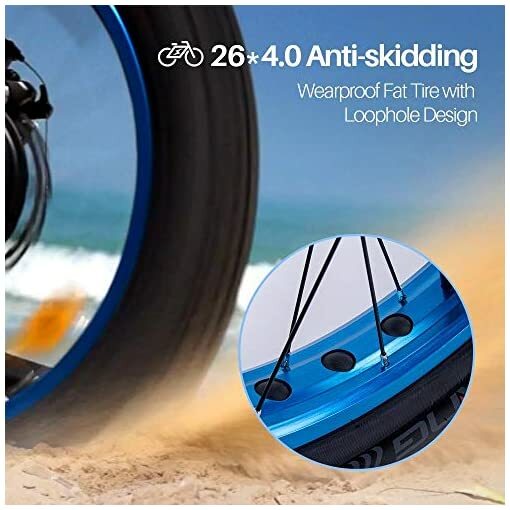 Bicycle Weight : 58 LBS Load Capacity: 260LBS –Just Enjoy the Cycling Power and Strong Driving Push.ERGONOMIC DESIGN: 90% Pre-assembled we pay great attention to every detail of each component, ergonomic handbar, adjustable seat and anti-slip wear resistant tire. 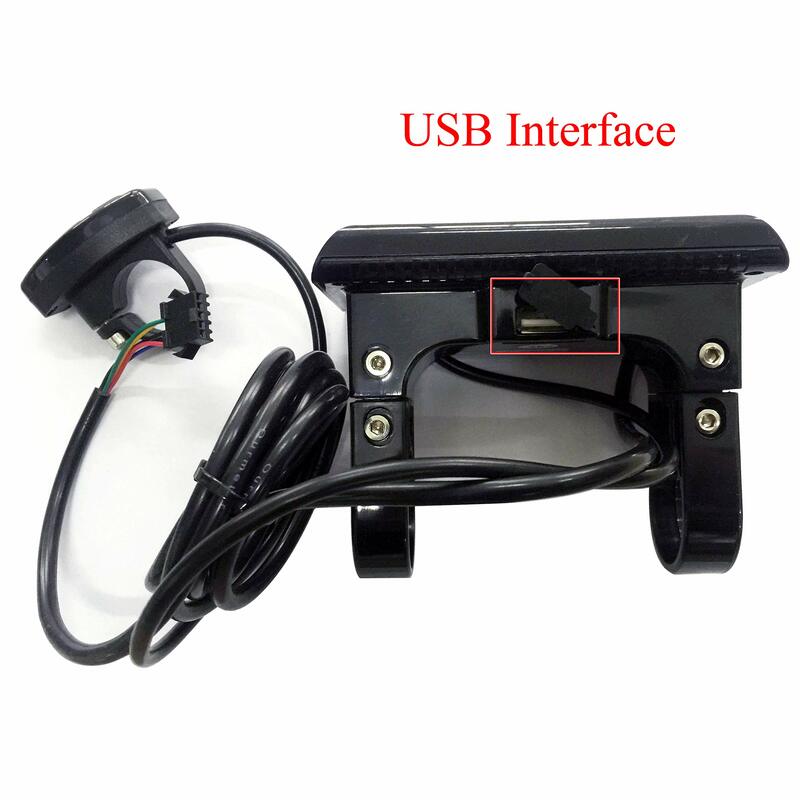 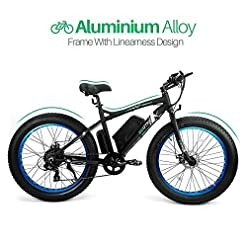 Note: Amazon offers free assembly for orders that sell for $500 or more, but it’s not the seller’s business, if the assembly shop has caused you trouble, please ask amazon or the assembly shop for help or a claim.In addition,the bike is 90% Pre-assembled, the assembly is very simple, we also have corresponding guidance video, you can email us on amazon to let us send you.